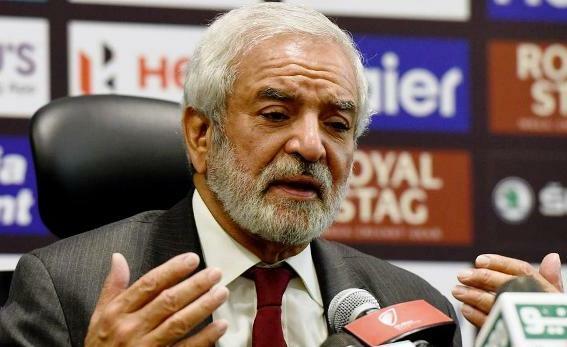 The Pakistan Cricket Board will not allow its players to participate in this year’s T10 League until it is fully satisfied about the credibility of the event, said Ehsan Mani, the new chairman of the board, on Sunday. “I am holding back my position [on providing an NOC to the Pakistani players to participate in the T10] until I am fully satisfied with specifics on whose money is fueling this league,” Mani told reporters in Dubai. India currently does not allow any of their stars to play in leagues other than the Indian Premier League, a policy Mani termed ‘commendable’. The PCB has a duty to protect its players’ welfare, as well as its own reputation, Mani said. “The PCB already has a policy in principle that no player can play in more than one league apart from the PSL,” he clarified. Mani hoped Pakistan-India tension will not have any bearing on the already-strained relationship between the PCB and the Board of Control for Cricket in India (BCCI). “Politicians when they speak, we don’t get into it; we shouldn’t. Our focus is on cricket, dialogue on cricket,” Mani said on the sidelines of the Pakistan-India Super Four tie in the Asia Cup. India beat Pakistan by nine wickets in the match. As an ICC president, I have always treated all countries including India fairly. I never favoured the BCCI nor did something unfair to them, said the PCB chief. He added that he had opened a dialogue channel with BCCI executives at the Asia Cup to chalk out a course of action. I have already had a very constructive discussion with my colleagues from India—they are here. I think we’ll have a lot of common ground going forward, he said.